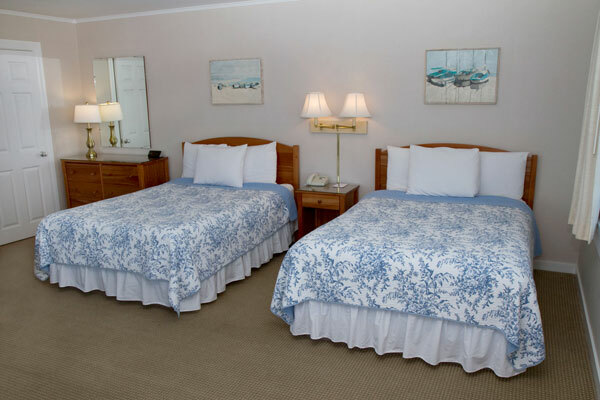 All of our Deluxe Rooms offer air-conditioning/heat, full bath, king-size bed, or two double beds, sitting chairs, table, small refrigerator, coffee maker, flat screen TV & phone. 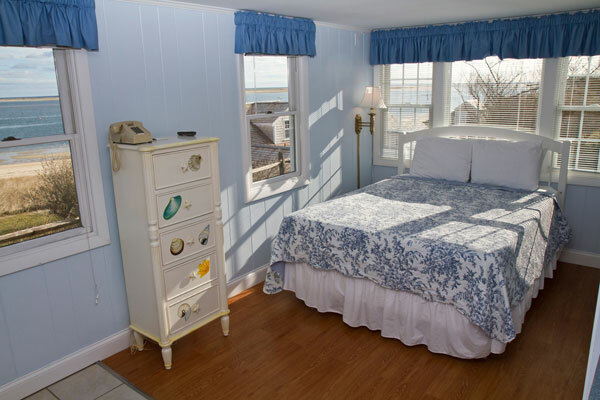 The ocean view rooms have stunning views of Pleasant Bay. 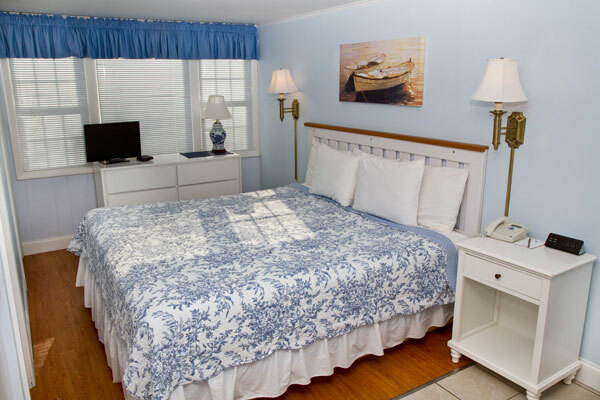 All of our Deluxe Rooms offer air-conditioning/heat, full bath, king-size bed, or two double beds, sitting chairs, table, small refrigerator, coffee maker, Flat Screen TV & phone. All of our Deluxe Efficiencies have spectacular ocean views. The offer air-conditioning/heat with king-size bed or two single beds, compact kitchen with table and chairs, refrigerator, two burner cook-top, microwave, coffee maker, fully equipped for light cooking; flat screen TV & phone. 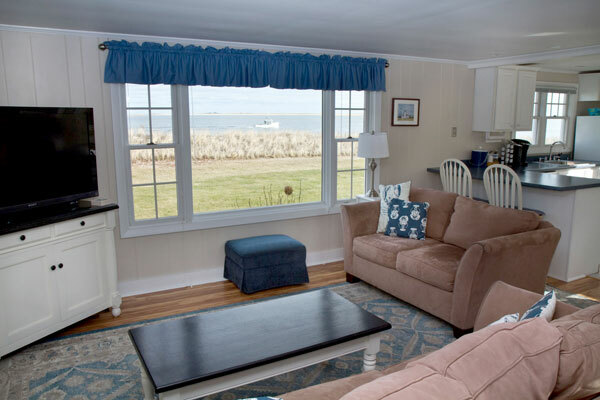 One of the most popular rooms at The Hawthorne, this end unit has incredible views of both Pleasant Bay and The Chatham fish pier. Featuring air-conditioning/heat, two double beds, full bath, sitting chairs, table, small refrigerator, coffee maker, flat screen TV & phone. 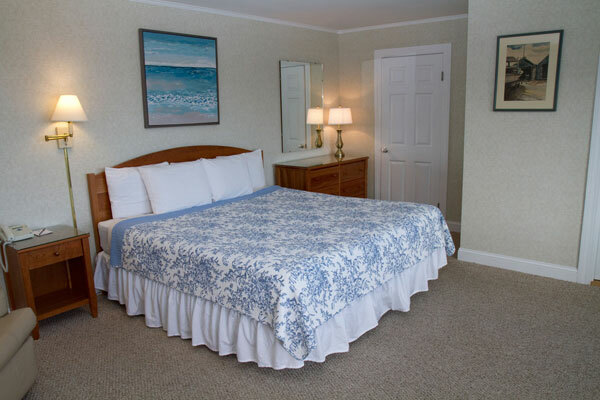 Our most popular room at The Hawthorne, the Superior Efficiency offers stunning ocean views. 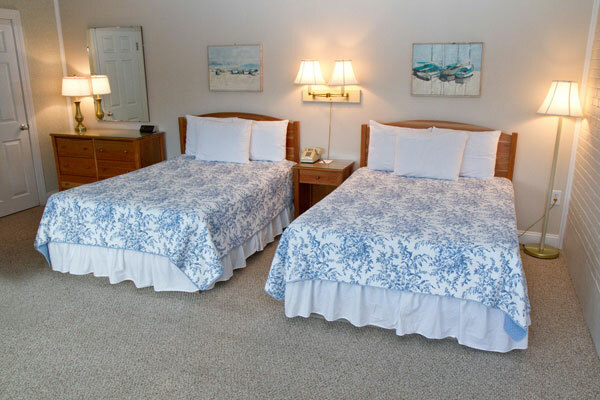 This end unit, closest to the beach, has a queen size bed, air-conditioning/heat, compact kitchen with table and chairs, refrigerator, two burner cook-top, microwave, coffee maker, fully equipped for light cooking; flat screen TV & phone. Situated 50 feet from the water, our cottage has two bedrooms and accommodates a total of 5 people (king-size bed in the master bed room, twin bed and twin bunk bed in the second bedroom); spacioius living room with a large picture window, sofa and love seat, dining table, 42 inch flat screen TV, fully complete eat-in kitchen. Linens are supplied with daily maid service. Enjoy your meals and morning coffee on the private deck and an outdoor picnic area with barbeque grill and lawn furniture.